(MoneyWatch) COMMENTARY Buying your first home can be daunting. Years ago, when my husband and I were looking for our first place in the suburbs, we looked at more than 125 homes before finding the right one. And that "right one" seemed like a crazy purchase to our parents and friends -- it needed a ton of work - a teardown, really. Slowly but surely we had the work done, and many years and two kids later we're still living there. It's a great home, and we certainly wouldn't be where we are today, with the house or our professional lives, without a great team behind us. As a first-time homebuyer, putting together a great team makes the entire process easier. That's especially true now, when there are more foreclosures and short sales on the market than in years past. A licensed real estate agent. Don't try to go it alone. The web makes it easy to browse homes for sale and contact listing brokers, but it can quickly become an all-consuming task. You'll save time by hiring a broker to do some of the work for you by understanding your wants and needs and using the broker's institutional knowledge of the local housing stock to find potential matches. You'll benefit from their expertise throughout the whole process, so you need to find someone who really knows what he or she is doing. Interview more than one broker or agent (three or four is best, from three or four different firms that do the most work in your neighborhood of choice) before you decide who to work with. Make sure you interview the agents in person to see if they're a good fit for you. Since buying a home is a stressful thing to do, you want to have good chemistry with your agent. After all, you'll be spending a lot of time together. If you're considering foreclosures or short sales, contact brokers or agents who specialize in those areas and have ties to local lenders. A reputable lender. Since you can't buy a home without OPM (other people's money), this might be the most important member of your real estate team. Talk to friends and family about their experiences with their lenders, and make sure you only use someone who comes with a glowing recommendation. Look at a variety of lenders: Big national lenders, regional banks, local community banks and credit unions. Talk to more than one lender before making your decision, and don't be afraid to ask questions. Take a look at HUD's good faith estimate form to get an idea of what costs you should ask about. Your lender is required to provide you with a good faith estimate when you apply for a loan. A professional home inspector. We've all heard the horror stories from homeowners who moved into their dream home and discovered too late the place was falling apart. Hiring a professional home inspector can help you avoid this same nightmare. Look for someone who knows the specific building codes in your area and the type of home you want to buy. If you're living in an area where termites can be a problem, or purchasing an old house with a septic tank, you need an inspector who knows what to look for. An experienced real estate attorney. Attorneys aren't used in many states to close deals, but that doesn't mean you shouldn't have one on your team. This is especially true if you're purchasing a foreclosure or short sale since there's a lot of back-and-forth with the bank, and there are potential financial minefields to avoid. But an attorney can be an asset even if you're purchasing a non-distressed home. Things like liens or issues with deeds can pop up just before closing, delaying or even tanking the sale. Having an attorney on your team gives you the ability to find out about these things earlier. 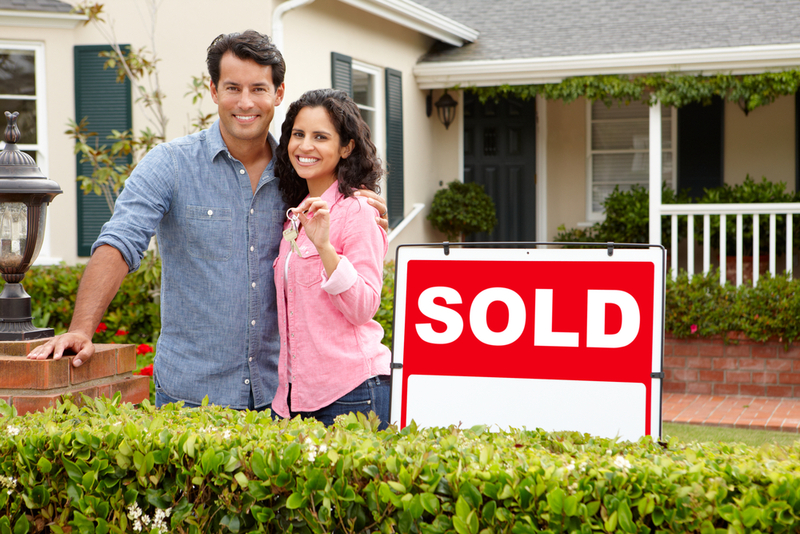 Visit CBS MoneyWatch again on Wednesday for more tips for first-time homebuyers.